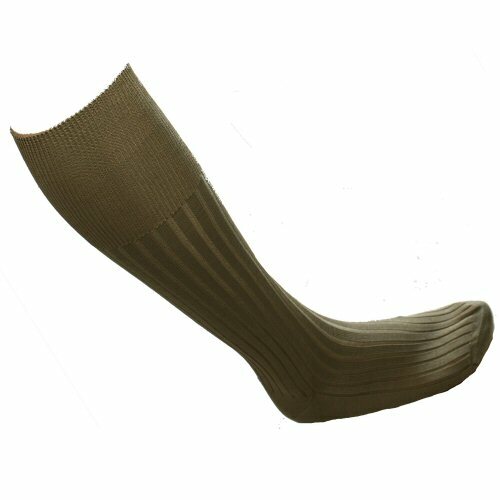 Original issue Italian army issue long socks in coyote tan or khaki. These are made of a lightweight pure mercerised cotton with extra long knit panel to reduce riding. Sanitised and treated with anti-microbial finish. The socks are ideal for warmer weather or as an inner layer with a thermal sock over the top. Made in Italy. Sizes are in Euro shoe sizing. Price per pair. Available options are: 40 , 41 , 42 , 43-44 , 45-46 .